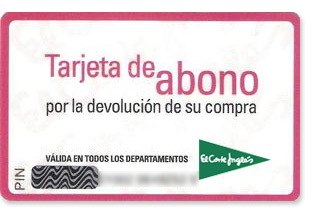 How do I purchase an El Corte Inglés Gift Card? Indicate the amount you’d like to give (between 10 and 500 euros. You can purchase up to 20 cards per order with a maximum amount of 1,500 euros). When processing the order, you can write a personal message to the person who is going to receive the Gift Card. Due to the characteristics of the Gift Card, joint orders cannot be made with different types of products. 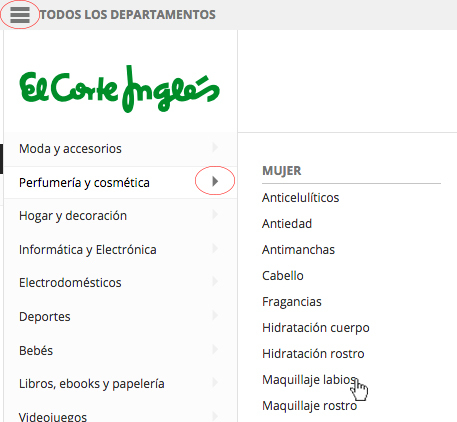 How can I contact El Corte Inglés? 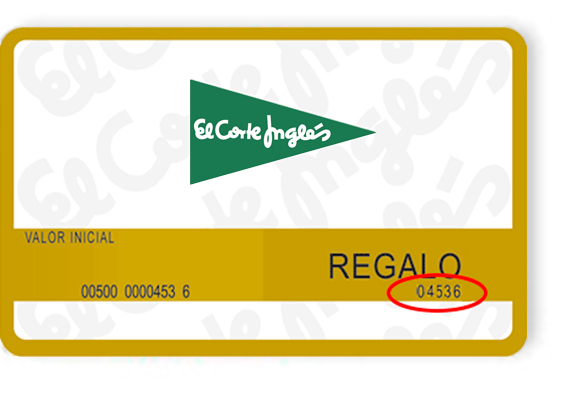 If you would like information about the purchasing service or if you want to learn the status of an order, call 900 373 111 from a landline or 901 464 111 from a mobile, available 365 days a year, or send an email to clientes@elcorteingles.es. Call our Customer Service Telephone 901 122 122 , Monday to Saturday from 9:00 am to 10:00 pm, and Sunday from 10:00 am to 9:00 pm, or send an email to servicio_clientes@elcorteingles.es. To find a product, you can open the navigation menu located in the top left corner of the page. This will give you access to all the available departments. Each department has several sections and a central area where featured contents are on display. They also have two navigation menus with the different product categories and groups, one on the left and another across the top. Use these menus to access the lists of products. Arrange the products as you like (largest discount, new arrivals, best sellers) and apply the different filters (brand, price, colour, etc.). You can also use the search tool located at the top of the page, which will display the available products according to the terms you enter. Once you have found the item you are looking for, click on the product name or its picture to see more information. A product information window will open showing the product’s details, colours, sizes, any applicable promotions, delivery and return options, availability in centres and other related products. What are the return and exchange periods for a product? 60 calendar days: fashion and sports clothes items, accessories, footwear, household items and home textiles. 15 días naturales: perfumes and cosmetics, leisure and culture, sports equipment, toys, lighting, pets and all items with electrical or mechanical components. The product must be unused, without assemble and in perfect condition. Including accessories, documentation and original packaging; if not, the good will be subject to a depreciation.Pursuant to the exceptions to the Right of Withdrawal regulated by RDL 1/2007, products customised with personal settings. You will only be responsible for the decrease in value of the goods if they have been handled in a manner other than that necessary to ascertain their nature, characteristics and functioning. This will also apply to items such as mobile telephones, tablets, computers, etc..., devices on which you have voluntarily registered, activated security features, geolocation or patterns, as starting up these devices requires the prior and voluntary registration of your personal data, which are stored in the device's memory. Once the merchandise has been received in our warehouses and its proper condition has been confirmed, the customer will receive a refund for the total price plus delivery charges via the same payment method used for the original purchase, excluding cash, which will be refunded via bank transfer; the refund will be made within 14 calendar days of receipt of the returned merchandise. The direct cost of returning the good or service will be borne by the customer, as established in the LGCU. What types of Gift Cards are available? Printed Card without PIN: Can only be used at shopping centres. If you wish to place an order online with this type of gift card, you can ask to exchange it for one with a PIN at the Customer Service desks in our stores. Card with PIN, without a printed amount: The amount on this card is not fixed or printed; as such, you can top up the card as much as you like. The PIN is concealed on the back and must be scratched off. Card with PIN and a printed amount: Both the amount and PIN are printed on the card. Cannot be topped up. At your disposal 365 days a year.